The Shepparton Adviser is the Goulburn Valley region's largest circulation local newspaper. The Goulburn Valley region is most famous for its fruit producing industry. The area is also diverse in landscape and thus farming styles. From lush green pastures supporting the Kyabram dairy industry, to the wheat and sheep belt in Benalla and surrounding districts. The Adviser is now in its 35th year and is an important advertising medium for advertisers seeking access to the homes and farms of the Goulburn Valley region. 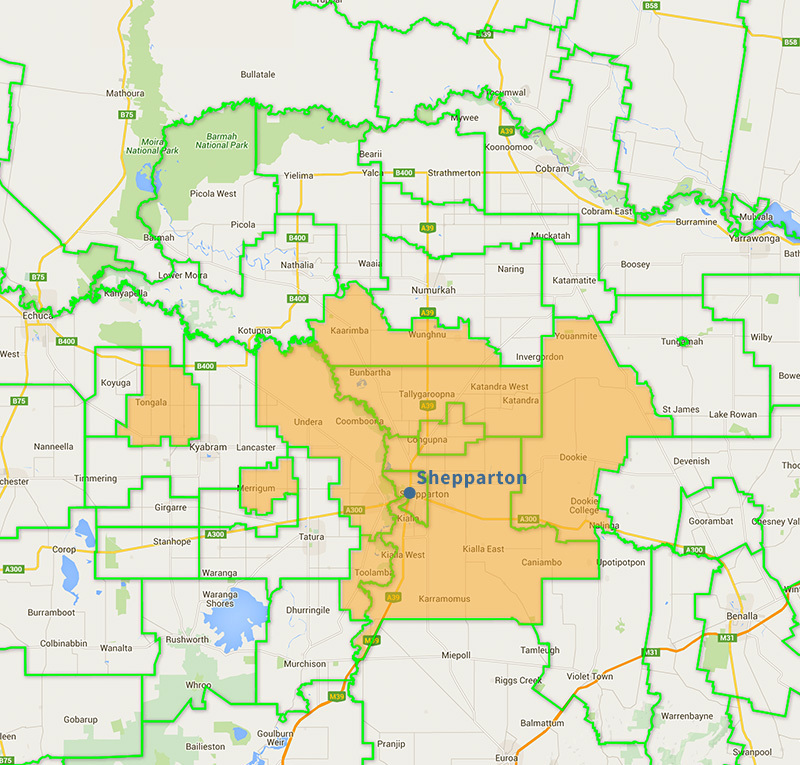 The Shepparton Adviser is distributed to homes throughout the City of Greater Shepparton and beyond, including, 1 - Benalla, Euroa, Nagambie, Cobram, Echuca, Congupna, Dookie, Kialla West, Kyabram, Merrigum, Mooroopna, Numurkah, Katandra, Nathalia, Murchison, Stanhope, Girgarre,Rushworth Outer Shepparton, Shepparton, Tallygaroopna, Tatura, Tongala, Toolamba, Undera and Wunghnu. Fruit growing and export, dairying and dairy products, education, food processing, engineering, cattle.